You liked them. You picked them. And here they are — your favorite tunes from the Dave's Lounge podcast for the year 2015. If you haven't added any of these to your music collection yet, use the iTunes and Bandcamp links below, so we can all support the artists who make all this great music. You can hear a second great mix of tunes from 2015 on the Dave's Lounge App, and on Mixcloud. 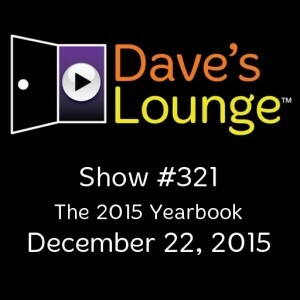 Check out the 2015 Yearbook Add-on at http://mixcloud.com/daveslounge. Great episode to cap off a great year! Thanks Dave!